“More Scared Of You Than You Are Of Me”, the new record from The Smith Street Band is at times dark, ferocious and heavy, while also being joyful, cheeky and full of the underdog spirit that made the band who they are. This record, the band’s fourth, embodies the cohesion and growth shown by the band both musically and lyrically. Known for their breathless touring schedule the album was pieced together in the stolen downtime between their famously frenetic live shows. The album’s twelve tracks follow lead singer Wil Wagner, more relatable and vulnerable than ever, as he tells the story of a relationship. While their past albums have had stories scattered through the songs, More Scared Of You Than You Are Of Me follows a powerful narrative that is defined by Wagner’s heart-on-your-sleeve lyrics and frantic delivery of the words that mean so much to him. 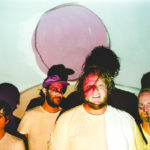 On top of Wil’s growth and development as a songwriter the band are in powerful form after years of consistent touring. 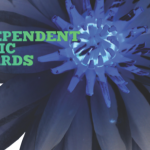 They have expanded their unique sound to fit in choirs, string sections, even synthesisers and electronic drum kits. 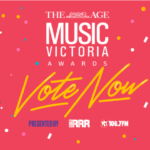 They have recruited special guests vocalists and also filled their now famous sing along choruses with talented friends, all joining in on the band’s clear and powerful vision. 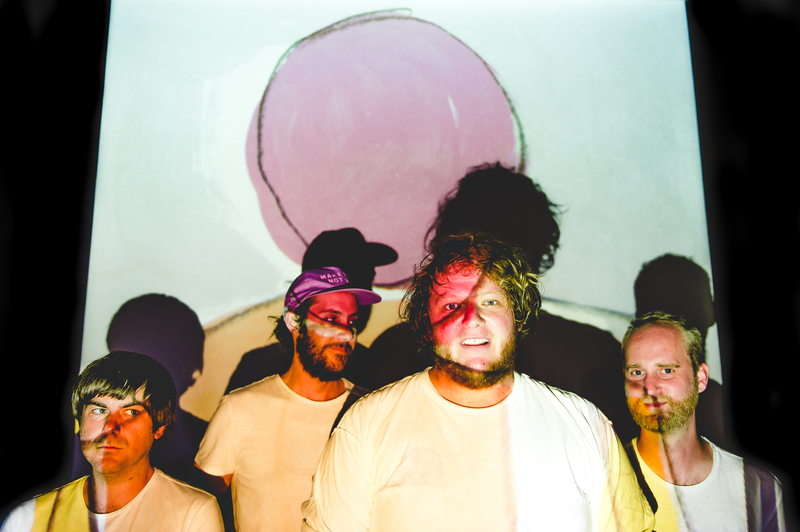 This is The Smith Street Band at their passionate, heartbreaking, hope-tinged best. Recorded in California at Panoramic House, the record also features a world class cast behind the desk. The sessions were produced by longtime friend and collaborator Jeff Rosenstock, engineered by Jack Shirley (Joyce Manor, Deafheaven, Hard Girls), mixed by John Agnello (Sonic Youth, Dinosaur Jr., The Hold Steady) and mastered by Greg Calbi (Bob Dylan, Ramones, Bruce Springsteen). The first taste from the album, ‘Death To The Lads’ was released in November 2016 and instantly became a fan favourite in the band’s live set with its call-to-arms chorus, again displaying songwriter Wil Wagner’s knack of serendipitously turning blight into beauty. 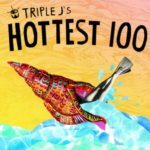 “It’s mainly about growing up and changing,” he says of the song’s themes, “admitting we make mistakes and trying to improve ourselves.” The track, two months later, appeared in triple j’s Hottest 100 at #21. The album touches on darker sides with ‘Suffer’. It’s dirty and heavy and Wagner screams the cutting refrain “You’re the worst thing that ever happened to me.” Whilst one of the album’s slower moments, ‘Run Into The World’ is a swaying track that features close friend of the band and New York solo artist Laura Stevenson, and You Am I’s Tim Rogers. “More Scared Of You Than You Are Of Me” is an exploration into love, anxiety, relationships and nostalgia, following on from where 2014’s breakthrough album, “Throw Me In The River” left us. From enormous festivals like Reading and Leeds (UK), Groezrock (Belgium) and Splendour in the Grass to stageless squats across Europe and American dive bars, the Smithies have seen it all and they’ve poured those experiences into their boldest and most ambitious release to date. 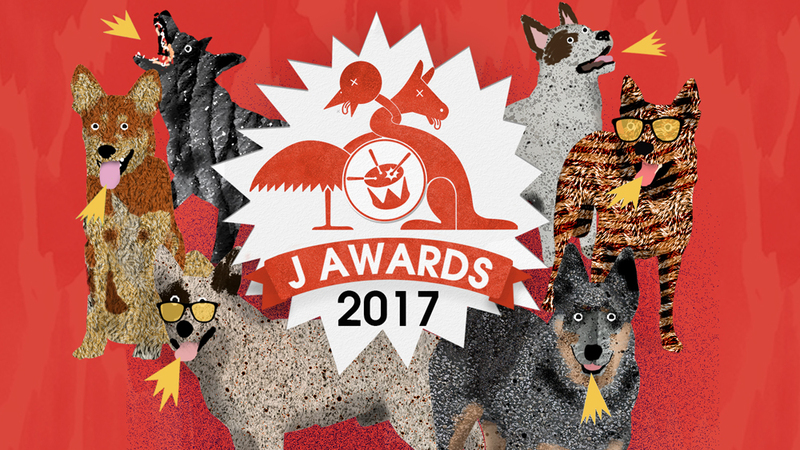 The nominees for the 2017 J Awards have been revealed this morning. 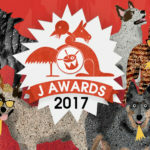 The winners will be announced at the J Awards ceremony and live on air Thursday 23 November. 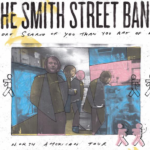 The Smith Street Band will return to the states this September for a full U.S. headlining tour. 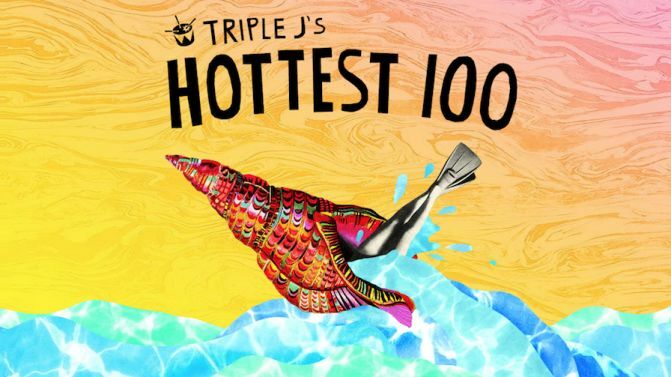 Their trip will also include a performance alongside Australian rock legends Midnight Oil at The Greek Theatre in Los Angeles on August 19, and a stop in Chicago for the city’s annual Riot Fest. 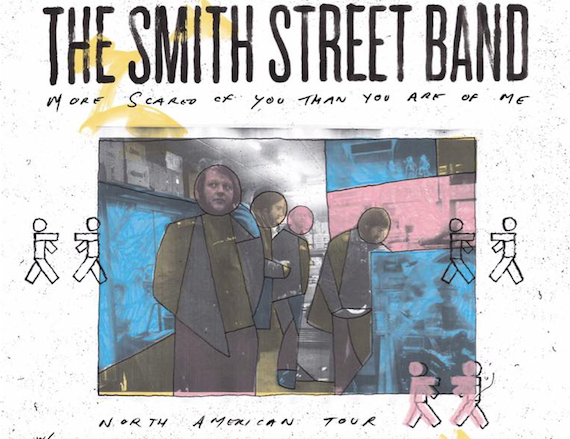 The Smith Street Band’s fourth album “More Scared Of You Than You Are Of Me”, released in April, debuted at #3 on the ARIA chart in Australia. In the States, the album has been quietly taking the country by storm. Between a debut performance at this year’s Riot Fest in Chicago, IL to a very public display of admiration from Ryan Adams, it seems clear that The Smith Street Band’s years worth of touring overseas is finally paying off.